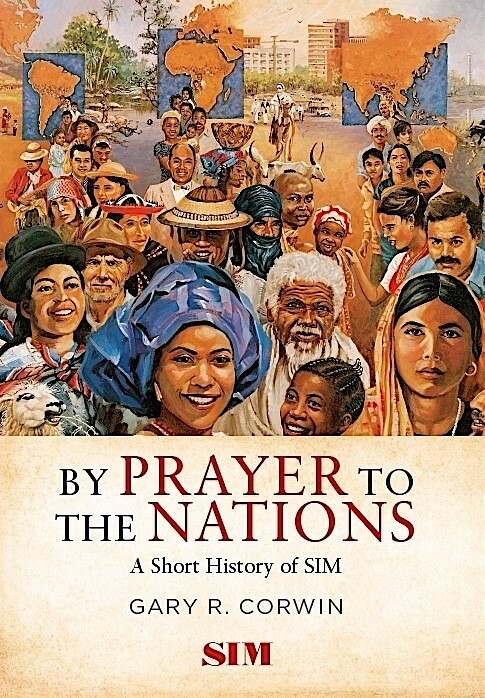 “By Prayer to the Nations: A Short History of SIM” by Gary Corwin (Credo House Publishers) offers an overview of SIM’s work around the globe and sheds significant light on the evolution of the faith missions movement from the late 19th century until today. This book begins to scratch the surface of an amazing story, while pointing the way forward for those wanting to know more. Now into its second century, SIM offers a history of God graciously using generations of ordinary and imperfect people to display his mercy and to extend his kingdom to where He is least known. The result has been Jesus building his Church through new and multiplying churches and mission societies representing millions of his redeemed followers. Starting from several Western countries with handfuls of individuals possessing oversized burdens for least reached peoples of the world, SIM has grown and evolved into a truly international movement with over 4000 multi-cultural workers laboring together in more than 70 countries. Many thousands more are prayer and support partners from around the globe. “By Prayer To the Nations: A Short History of SIM" shares the stories that weave them all together. Ayman S. Ibrahim, associate professor of Islamic studies and director at Southern Baptist Theological Seminary’s Jenkins Center, calls it a “welcome” and “timely” volume of SIM’s history. “No recent work comes close to matching the insights Corwin’s book provides on the topic,” he writes. Author Gary R. Corwin is a missiologist with SIM International. He served 36 years with SIM in Ghana and then in various international roles. He is the author of over 120 articles on missions and a coauthor of Introducing World Missions: A Biblical, Historical, and Practical Survey. Corwin, who has served as either editor or associate editor of Evangelical Missions Quarterly (EMQ) for over 20 years, is a graduate of The King’s College in New York and holds several master's degrees. "By Prayer to the Nations: A Short History of SIM" is available on Amazon and at Christian book retailers.